Things were settling, things were stabilizing. The lands of Sautrest, after weeks of unrest, power struggles and outright wars, were finally beginning to find their footing...but only for a moment. Once again, a darkness has fallen over the lands and the people of this Kingdom must unite and come together to defeat a vile, evil force. Just preceding this darkness was a moment of light. Sautrest, after experiencing much hardship, with the top clans battling it out for the coveted first place position, was just beginning to stabilize as we previously mentioned. 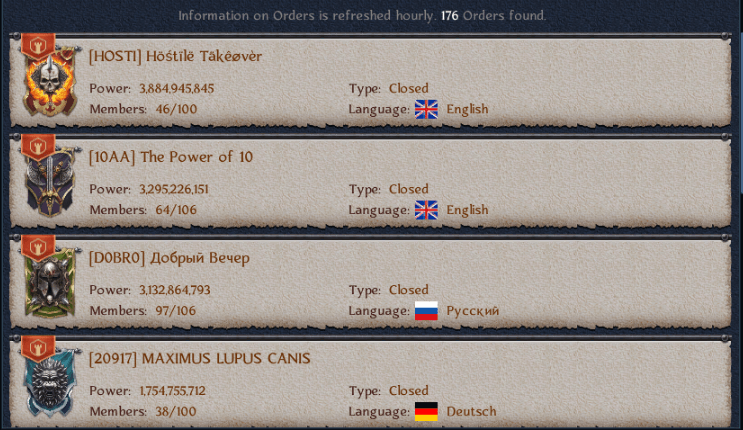 The Hostile Takeover Order had begun to pull further away in influence and establish itself as the new leading force within the lands, the stewards and guardians of Sautrest if you will. This newfound stability allowed them to temporarily put aside their differences. With the top Orders within the Kingdom doing so they were better able to represent their homelands in the ongoing war that was engulfing their lands, enabling them to win a much-needed Kingdoms War—a vital event that they have recently seen a number of defeats in. 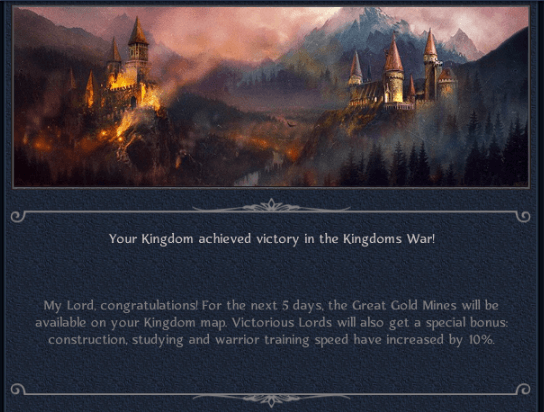 Unfortunately, the celebrations surrounding this recent victory were quickly put to an end, as an announcement was made on the public forums indicating that a new threat had descended upon much of the realm. The Black Inquisitors had ridden in from the wilds and were laying waste to vast swathes of the realm, with Sautrest being one of their intended victims. Luckily, the recent settling of hostilities within the lands enabled the warriors of Sautrest to quickly respond to this new threat. Additionally, with their recent victory in the Kingdoms War event, the citizens of Sautrest had high morale, bolstering their confidence in the face of such a daunting foe. The vital need to protect their homelands, their friends, and their families was not the only driving force behind repelling these dark forces. 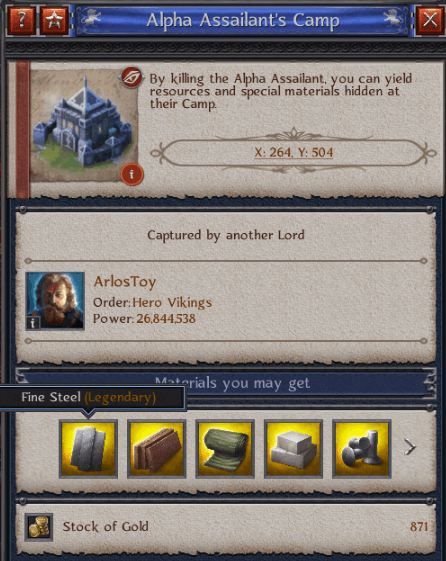 Great riches also awaited anyone with the strength and power to slay these fiends. 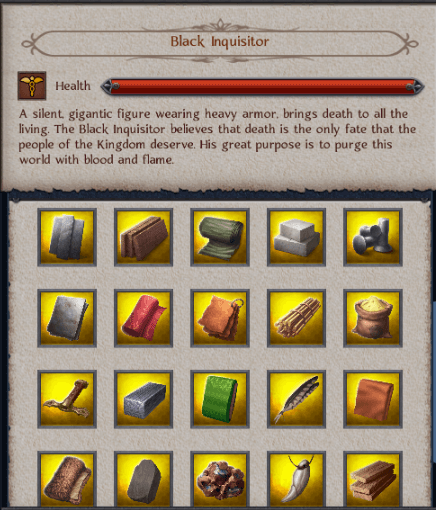 Legendary artifacts and materials were reaped in spades as each Black Inquisitor was conquered and defeated. Some, such as ArlosToy, as shown above, were among of the fortunate ones who had the ability to do so, claiming the riches that awaited him. 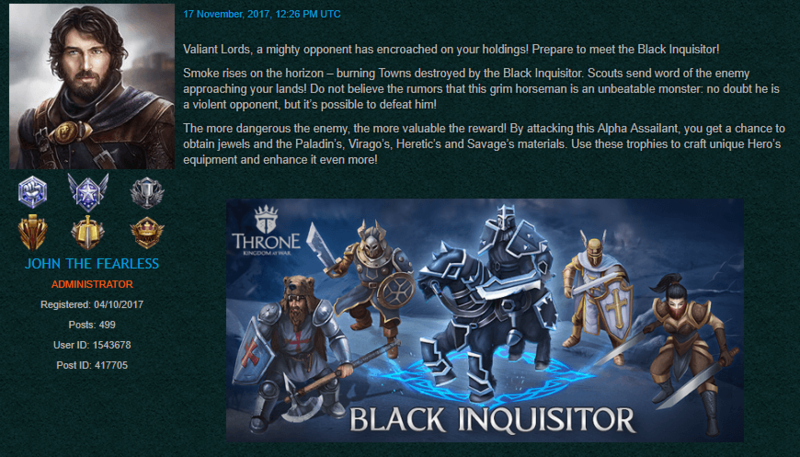 Still, to this day, many more Black Inquisitors plague our homelands, across not just Sautrest, but numerous other lands. As we write this Chronicle, brave souls battle for the safety of their Kingdoms, so what are you waiting for? Sharpen your blades, mount your steeds and ride out to battle. Your people, your town and your Kingdom need you!